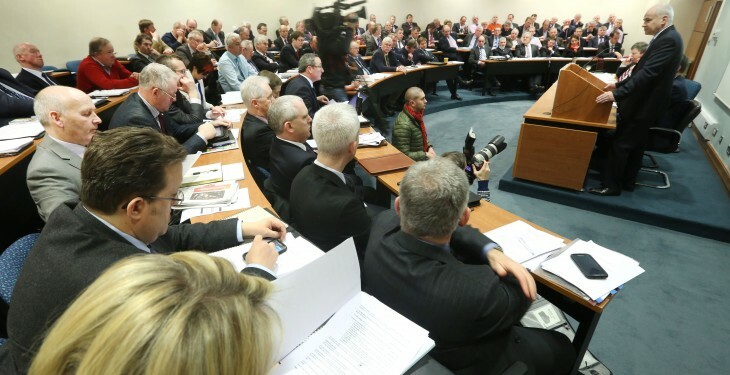 Home » Opinion » Is now the right time for the IFA’s Executive Board to resign? 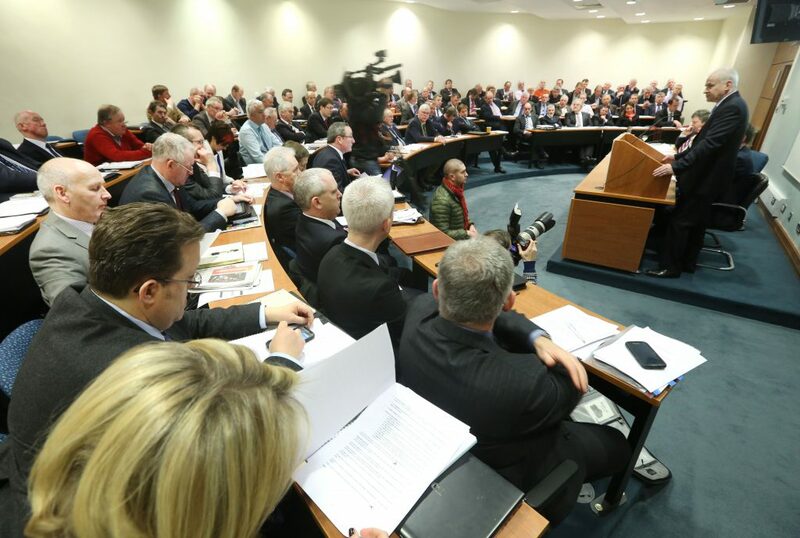 Is now the right time for the IFA’s Executive Board to resign? This week at the emergency 17-hour meeting in Bluebell over the ongoing pay scandal a number of motions were brought for the IFA’s Executive Board to resign. The calls for the Board to step down were made on the basis that ordinary members of the IFA had lost confidence in all the top brass of the Association. It’s a fair point. There is still a lot of anger among ordinary farmers at the lack of governance as well as the pay packages of senior personnel. Already the Executive Board has lost Pat Smith and Eddie Downey. And, if the entire Executive Board stepped down it would mean that Deputy President Tim O’Leary, Treasurer Jer Bergin, and the four regional Chairmen (Munster – James McCarthy; Leinster – James Murphy; Ulster/North – Bert Stewart; Connacht – Tom Turley) are no longer at the helm of steering the IFA ship through the current murky waters. Should it happen it would see the entire farmer leadership of the IFA wiped out in the space of eight days. A state of affairs no one would have ever predicted could happen to the Association. Regardless of the void such a move would leave at the top of the IFA, or the fact the motions calling for the Board to step down were not discussed as they did not meet the rules (the motions need to be submitted 21 days ahead) the IFA must look beyond the next couple of weeks and even months. The next few weeks and months could throw up more revelations and the Association must be able to see beyond this. The Executive Board should realise the sentiment that is out there among grassroot members and allow the Association move forward with a clean slate. The election of a new president is in the offing and it will be the most important election in the Association’s 60-year history and one that will define the future of the Association. That person faces an unenviable task ahead to reform an organisation from the inside out and rid it of any remaining rot from the top down. They must also ensure that the membership is truly represented and their interests are at the heart of its policies and mandate. But there is also a very steep uphill task to redeem itself in the eyes of the wider public. The only way the current board can stay in place is with a commitment to step down when a new president is elected. Then the new President can put in place a structure that will allow greater transparency and accountability. The IFA is in unchartered waters at the moment but treading these waters won’t solve anything. Decisive action is needed and this action must allow the right people take the helm.